HMH Books for Young Readers, 9780544000131, 320pp. After a plague of vampires was unleashed in the world, Katie was kicked out of the safe haven of her Amish community for her refusal to adhere to the new rules of survival. She enters an outside world of unspeakable violence with only her two friends and a horse by her side. And yet through this darkness come the shining ones: luminescent men and women with the power to deflect vampires and survive the night. But can they be trusted, and are they even people at all? 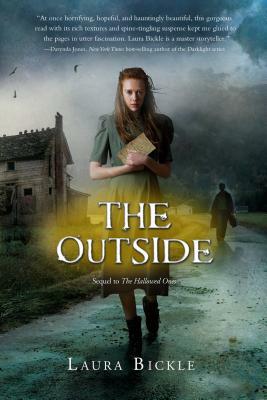 In this sequel to The Hallowed Ones, it's up to one Amish girl to save her family, her community, and the boy she loves . . . but what will she be asked to sacrifice in return? Laura Bickle is the author of The Hallowed Ones and The Outside. Her professional background is in criminal justice and library science. When she's not patrolling the stacks at the public library, she's dreaming up stories about the monsters under the stairs, and writing contemporary fantasy novels under the name Alayna Williams. Laura lives in Ohio with her husband and five mostly-reformed feral cats. Visit her website at www.laurabickle.com.